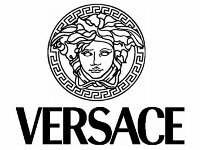 Versace Crystal Noir Eau de Parfum is a luxurious fragrance designed for elegant, brave and deeply sophisticated women passionate about luxury and comfort. This purely feminine fragrance combines gentle airy tones of citrus, sandalwood and a floral heart. Wrap yourself in this mysterious scent that will highlight your femininity and sensuality. Ambra , Musk, Peony, Orange Done! For shipping to other EU countries visit this page Versace Crystal Noir EdP 90 ml. Für Versand nach Deutschland, besuchen Sie bitte Versace Crystal Noir EdP 90 ml. Chcete doručit zboží do Česka? Prohlédněte si VERSACE Crystal Noir EdP 90 ml. Chcete doručiť tovar na Slovensko? Prezrite si Versace Crystal Noir EdP 90 ml. Für Versand nach Österreich, besuchen Sie bitte Versace Crystal Noir EdP 90 ml. Magyarországra történő kiszállításért tekintse meg ezt a termékoldalt: VERSACE Crystal Noir EdP 90 ml.